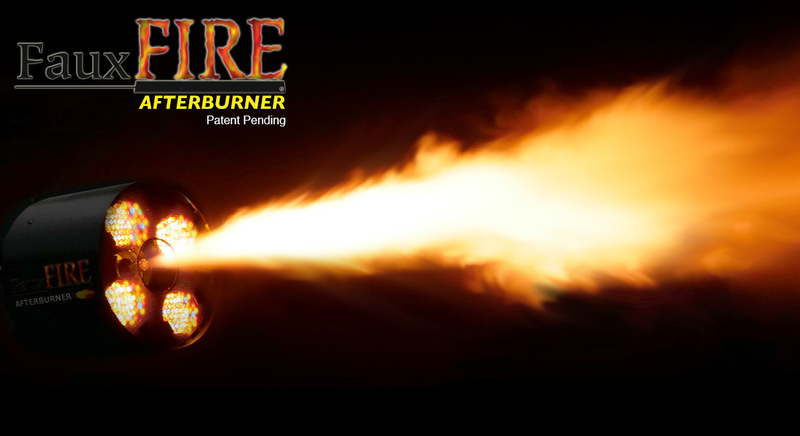 The FauxFire® Afterburner is the most realistic simulated flame blast in the world! Using our latest FauxFire® technology, Technifex has created a steam-based system that produces a powerful blast of “flame” that looks like it is exiting a jet engine. Fully controllable and scalable, the FauxFire Afterburner is perfect for use in dark rides, haunted houses, concerts and theatrical presentations. Using our latest FauxFire® technology, Technifex has created a steam-based system that produces a powerful blast of “flame” that looks like it is exiting a jet engine.